Who has an opinion on Dolby? I used to use it exclusively, but now I’m not so sure. It seems to make the recordings sound less open. I’m in the middle of experimenting, to find out if I prefer B, C, or nothing. Don’t use it anymore but used to back in the heyday of cassette, if you are doing a release then it makes sense not to use it as a lot of modern players don’t have it due to dolby no longer issuing licenses. As long as you get a good level on a half decent tape then it isn’t really needed, dbx is fine as it doesn’t need any circuitry on the deck. 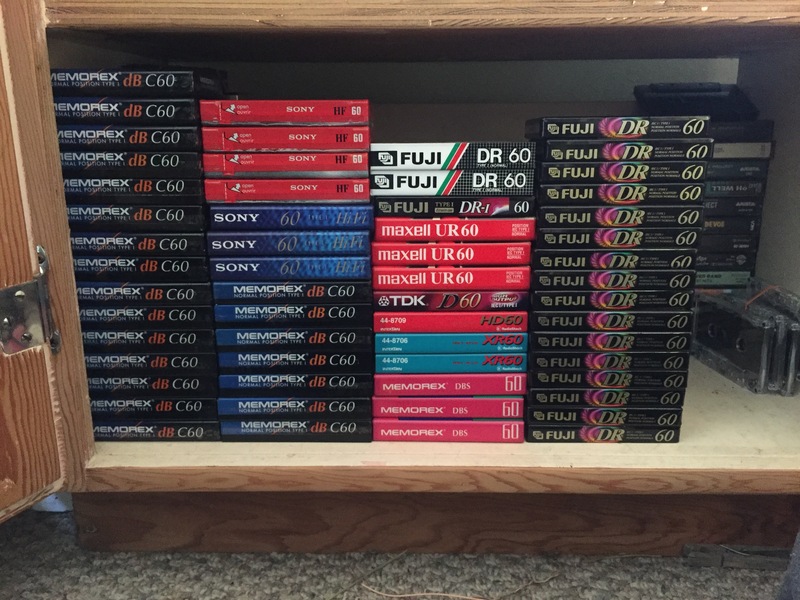 Finally, I had a friend who found these C90 in his house while cleaning it up for staging for its listing. He just gave them to me. He figured he didn’t need them anymore. Coincidentally, it was a listening session on his then newly acquired Nakamichi deck which rekindled my interest in cassettes. I thought he was crazy to spend $250 on a deck but when paired with his crazy HIFI I couldn’t believe the sound. I did a bit of research only to discover my opinion of cassettes was greatly influenced by my limited exposure to the tech in my childhood. Not that I’m too young to remember what it was like but that my family while not poor was not in danger of entering middle class. Consumer cassette players and those found in automobiles of the time were to but it mildly, crap. I did a few Dolby tests, and settled on Dolby B. My tape deck has three heads, so you can listen to the recording as it runs. The recordings all sound fantastic, without Dolby, and with both B and C. There’s a little hiss on the non-Dolby recordings, but not really enough to hear unless you’re trying to. I picked up an old Walkman, too. Listening to C recordings on that is awful, as it only has B. And I can hear the hiss of the non-Dolby version slightly more. B sounds as good as non-Dolby, only without hiss. So, Dolby B it is. I also picked up a handful of old prerecorded cassettes from a charity shop this afternoon, for €0.30 each. I’m sure they’re awful, but I’m going to mess with them, sample them, and then record my own stuff on top. I got some tapes from Poundland a while back, they are branded Signalex, 2 in a pack for £1, TBH I wasn’t expecting much but was pleasantly surprised how ok they sound, I recorded a bit of OP-Z onto one last night - just as a test, no noise reduction, and I actually preferred the sound of the tape to the source, it sounded warmer and softer with a bit more bass. I recorded it using my Sony TCD-5m with levels just peaking at +3db, it had a bit of mild saturation, which sounded very nice. The Sony is a great deck, only 2 heads but really lovely sound. 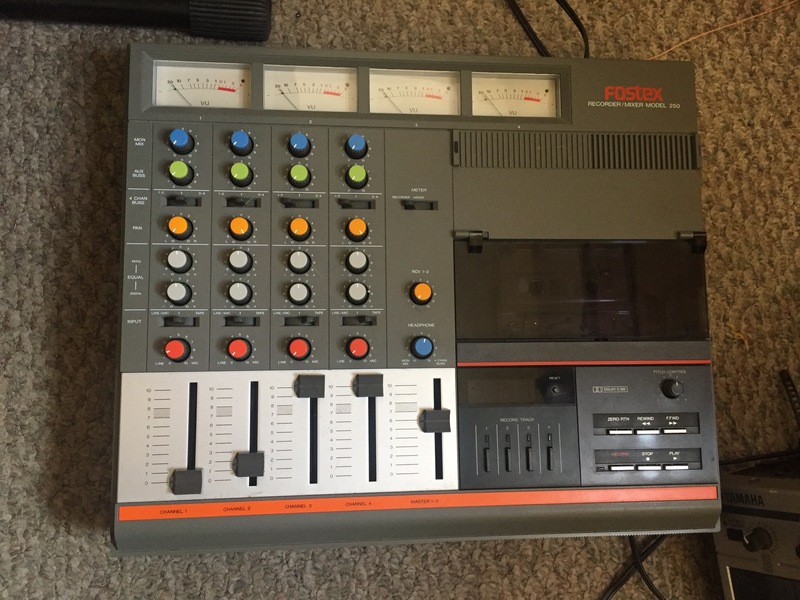 I am enjoying experimenting with different tapes, decks and settings, and I’m definitely going to sacrifice some tapes for recording loops onto for sampling purposes, because I love the way that the tape can make things sound. Well, impulsively bid on a Porta02 on eBay and won. So I guess I’ll have one of those to play around with soon. Gotta get some tapes going soon. Had more fun last night recording bass guitar samples, this time from the Tascam, while messing about with the pitch and rec level pots on the WMD6C. Looking for bass notes with nice pitch/saturation sweeps, which I’ll just sample back into the tascam for my AR. Did someone say Goonies? Flight of the Navigator? No, they didn’t. Lol. They said cassette and I love it! Cassette gives me that same nostalgic splendour. A feeling like I just jumped back to my childhood. And what a lovely time that was. A time when you could ask for a step from the barber and he knew what to do, a time the video rental store had a VHS tape called Flesh Gordon on its top shelf. I’ve been waiting to post in this thread. Oh yes, oh yes. Now, the time has come. Yesterday, I took my laptop to work where I want it to remain. I’ll use the DAW there to continue building up my catalog of songs for the preschool children I teach. That means my home is completely DAWless and CASSETTE ONLY!!! Yippee!!! Cassette is the only way to go. It’s where my love of electronic music began. As my family watched the TV, I would sit there with headphones on enjoying the only tape I could get. It was my elder brothers copy of The Ratpack - Everson Allen and Lipmaster Mark - 1994 and The Prodigy Experience. As I just began high-school, my curiosity grew stronger as the years went on. I acquired a trusty Walkman and would listen to mixes of songs that I put together whilst riding my bike to school. Every Sunday evening I would sit with my tissue stuffed tape and record songs off the radio hit chart show. Amazing times!!! Many years have passed since those happy days and I am ecstatic about going full cassette again! I searched long and hard and my efforts placed a brilliant Marantz before me. You never know what you may find at a Hard-Off here in Japan or what kind of condition an item may be in. This particular time it was a multitrack recorder that even smelt new. Manual present but the unit was unboxed. I paid ¥10,800 which equates to a mere 74 Great British Pounds. I finally have the set up of my dreams. I may have one or two items that are surplus to requirements but I feel very blessed that I don’t need anything new. I have enough variety, old and new, that gives a characterful sound. 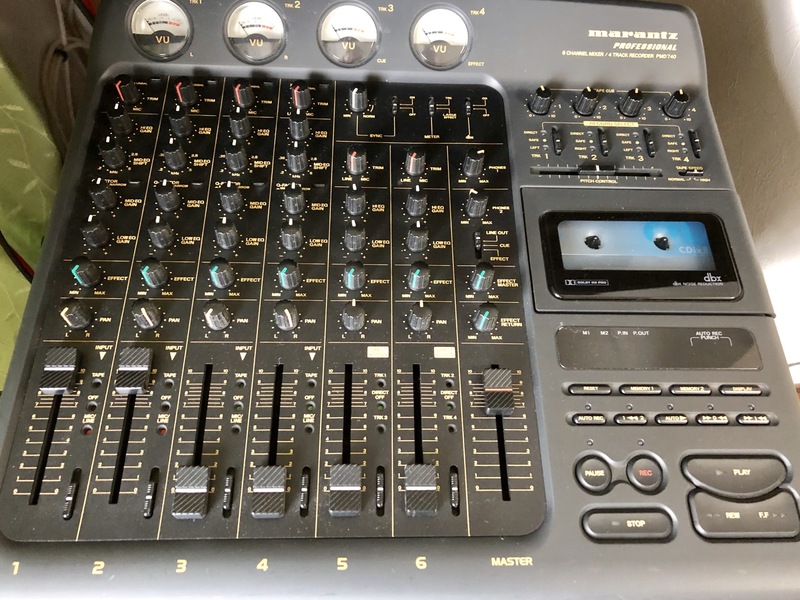 Everything has effects on the way in and then the mixers outs are running through a Drawmer DL241, into a Drawmer DF320, into the Analog Heat, and finally printing onto cassette. I really enjoyed reading all of your posts! Thank you so much! Looking forward to hearing more from you all. Tissue? To defeat the write-protect feature (i.e. no tabs in the top of the cassette)? Never would have thought of that. I think we just used scotch tape or something similar. @HisMostDarxxxellent that Marantz is a real beauty sir! Please don’t tell me you have those Teac Ocasse tapes too, rarer than dodo eggs! Yep! You got it! No idea as to why my brother chose tissue when sellotape would’ve done the trick. I just followed suit; he did it so I did it. It’s funny you should say that about your Tascam. It seems as though the cassette gods will be rejoicing this weekend as I too will be rigging it up and getting down!!! And yes, the Hard-Off is a pawn shop. Got one down the road from me and it’s pretty big. 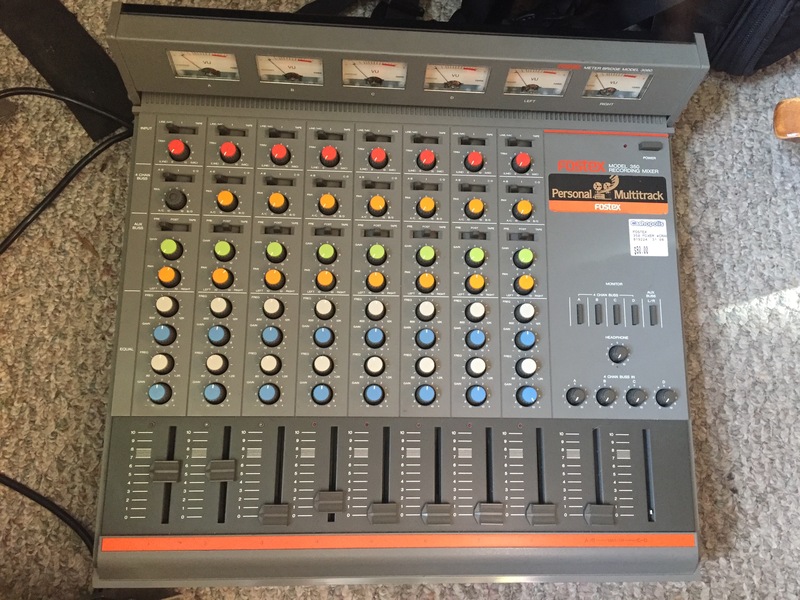 It is a Hitachi Sound Break 52. It is a normal position however my Marantz prefers ‘Type II’ or ‘High Bias’. Ahhh I remember when that Marantz was the shiny new thing and how I wanted it. But at the same time there was a picture of an even shinier hard disc on the cover of Future Music (very late 90’s? ), and hard disc recording on your home PC was everyone’s salvation from tape noise and track limits. But most people only had 4 or 8Gb hard discs, let alone a decent sound card. 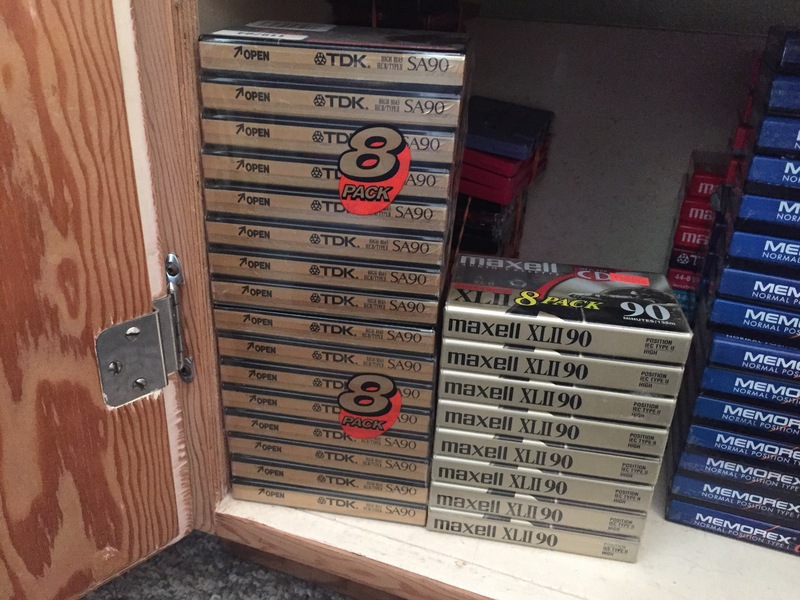 I forgot how abundant tapes are there. Thanks for the reminder. Definitely going to pick some up next visit. Also. I recall something I read around that time that recording at higher speed was supposed to extend frequency response for cassette. Anyone know if that’s true?